The European Tour is back after a extended break at such a strange time of the season. The NH Collection Open features a weakened field with the US Masters on the schedule next week for the best players on tour. This is the first year of the event but it goes along the lines of the Russian Open event as a dual ranking event with a mix of tour proper players and challenge tour players. The course is a par 72 at just over 7, malady 200 yards. General impression on the course are that fairways are wide Greens easy to find but do have some undulations. This course can be ripped apart it seems especially if the wind is not up as that seems the courses main protection. So a good wind player and putter is likely a good place to start. Its small bets from me this week probably half my usual type stakes on golf and with the limited coverage just like the Russian Open last year it will be limited betting from me. 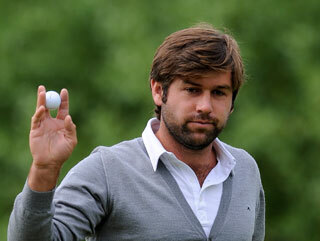 Alejandro Canizares 16/1 various – Local boy and knows what it will take to play well here. A good wind player he could find this one falling into his lap. He hits lot of greens and puts well as shown at the Al Hasan. Lucas Bjerregaard 33/1 various- A big hitter off the tee which should be a help for him here. GIR % is decent. Played this back in 2011 and did well enough. His game is in pretty good order right now. Robert Rock 50/1 various – A top player when at his best and signs he is starting to pick his game up again. Improved in Morocco and had a 5th in the Dubai Classic this year too. Carlos Del Moral 80/1 Betvictor- Another Spanish player worth watching out for. His recent 4th in South Africa is a sign that his best golf is back. Finding plenty greens so just needs to sink some putts. Rikard Karlberg 50/1 various- A Swede who plays a lot of golf in Asia but seems to have the game to go well here. He has been going well in Asia recently so its not crazy to expect him to keep that form up at this level too.